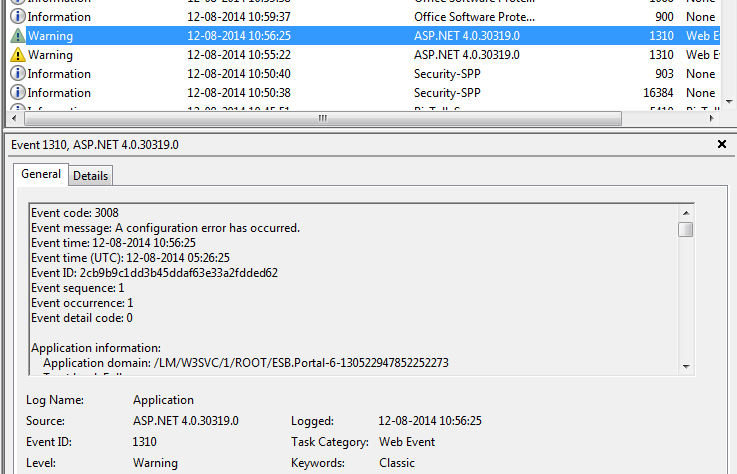 After installing and configuring ESB 2.2, I tried opening ESB portal and got below error. 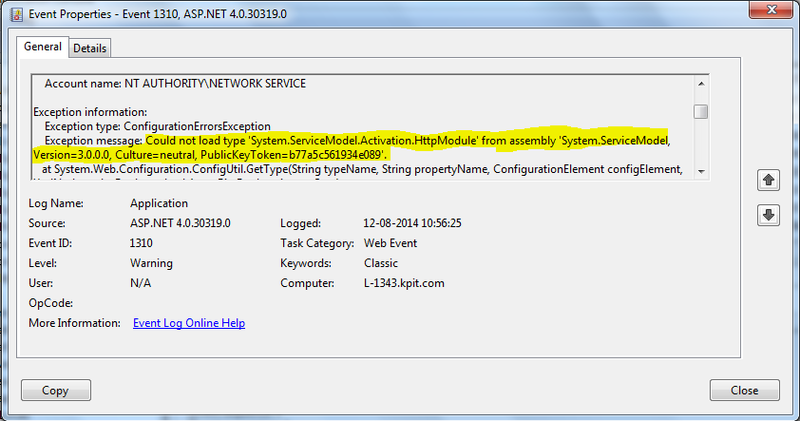 To find out exact reason, checked the Exception Message and there it was , HttpModule from Service Model assembly was not available in GAC. 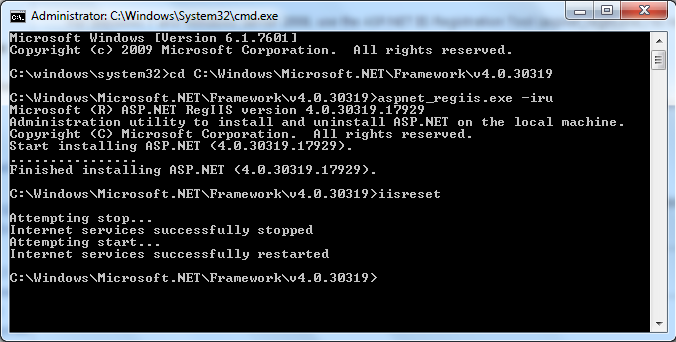 This error can occur when there are multiple versions of the .NET Framework on the computer that is running IIS, and IIS was installed after .NET Framework 4.0 or before the Service Model in Windows Communication Foundation was registered. 1. Right-click Command Prompt, and then choose Run as administrator. 2. At the command prompt, type the following command to change to the Microsoft.NET\Framework64\v4.0.30319 folder, and then press Enter. 3. At the command prompt, type the following command, and then press Enter. 4. At the command prompt, type the following command, and then press Enter.